With a focus on producing premium denim at an affordable price, Cheap Monday is renowned for ready-to-wear collections and fitted denim infused with Swedish simplicity. 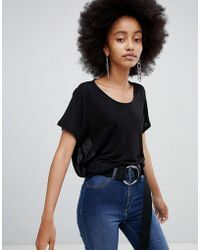 Born in the early 2000s, the brand came about following Örjan Andersson, Adam Friberg and two friends opening a second hand store in a Stockholm suburb. Their iconic Cheap Monday 'Tight' was an immediate success and soon expanded into a fully-fledged brand. 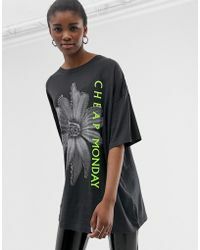 Artfully tapping into the label's signature aesthetic, Cheap Monday tops are coolly nonchalant. 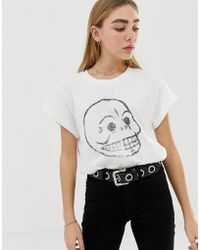 Classic T-shirts, shirts and tanks are based in an understated colour palette with graphic prints and emblematic logos lending themselves to a contemporary edge.